If the Tasmanian Tiger still exists, it may be better for it to remain officially undiscovered, unless it's found and proven to be threatened by specific problems like deforestation or developments. Which is certainly not to say I wouldn't love to see their existence proven in Australia or Papua. 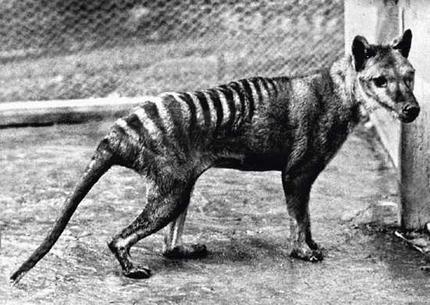 Perhaps the money spent on proving the possible continuation of thylacines could go towards saving the Devils, which are definitely facing a painful and tragic extinction if we are not too careful.